Product prices and availability are accurate as of 2019-04-13 21:50:23 EDT and are subject to change. Any price and availability information displayed on http://www.amazon.com/ at the time of purchase will apply to the purchase of this product. 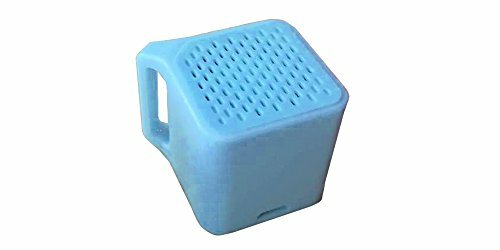 The Dison Mini Drum Speaker is ultra-light, weighing only 0.88 ounces(25g). The size does not compromise the power of the sound, as the speaker is loud, and produces amazing sound. Connect your device in seconds with the easy-to-use Bluetooth technology. Simply turn on the bluetooth on your device, and hold the pairing button on the speaker. Connects in seconds! The speaker gives you the ability to answer/hang-up/redial/refuse calls with the easy push of a button! Your children will love this small and powerful speaker.